*Updated to work with the Theme Manager, the previous script was too old and didn't work. With this suite you can apply at once, with the help of Theme Manager a Windowblinds skin, an IconPackager package, a wallpaper, a cursor and a logon screen. Clean and easy on the eye. Thanks Kevin, you are always so very kind! You need WinStyles, which are doing all the work for you, just using "that txt file"
What are the Logon and the Cursors called because they dont seem to load with my WinStyles. Tried to install this, but wants to download Winstyles, which from what I gather, does not exist anyomer... it seems to have been replaces with Theme Manager, which I already have installed!!! Very cool....easy on the eye and works well with my TFT...some suites/blinds generate a bluring with clear type. This is good. The log on could be less fussy and it does not reflect the clarity of the skin/blind generally. Good work though. i downloaded the free version of theme manager so i could download and use this suite. but the thing is, it downloads them then goes to "applying new themes" or whatever then it just stays on that and doesnt do anything :S the computer doesnt crash it just never finishes applying them any help please? I was having all kinds of problems across the board too, not just this suite. I was getting abends from Runadll as an Ap errors multiple times when I tried to apply full suites like this one. If you have not had the privaledge to use his work now is the time to start, as well as the many others. I downloaded a new registry routine and it fixed all of my 1236 errors and it went right in, no swet in about 10 seconds! I thought that my system was running perfectly, but not with all of those errors. If you are having problems, I wouldn't be able to comment because I have had the full licensed version for many years. So, I would look else where for a reason, like inside of your machine for all the necessary components as mine and the authors are working correctly. 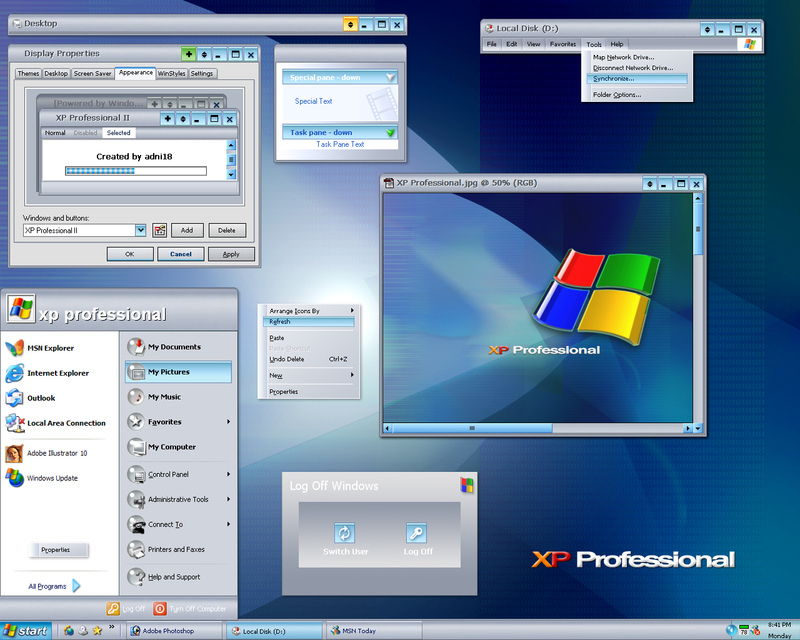 Those include: WindowBlinds-5, Logon Studio, Bootscreen, and all Wincustomize components. So now is the time to get yourself an early Christmas Present, break out your credit card and enjoy this wonderful eye candy and it really enhances your system peformance and throughput too! This suite works OK with my computer and the Theme Manager. I hope someone from Stardock will answer saying the limitations of the software, if there is any. I can't get theme manager to apply any of this suite.